Being a grandparent in a blended family isn’t always easy. There’s usually some degree of tension or stress until the relationships between adults get sorted out, but those relationships are always worth working through – especially for the sake of the children. We have shared previously our thought on creating a happy blended family. That’s why figuring out ways to celebrate and recognize how valuable grandparents are to the family dynamic is so important. 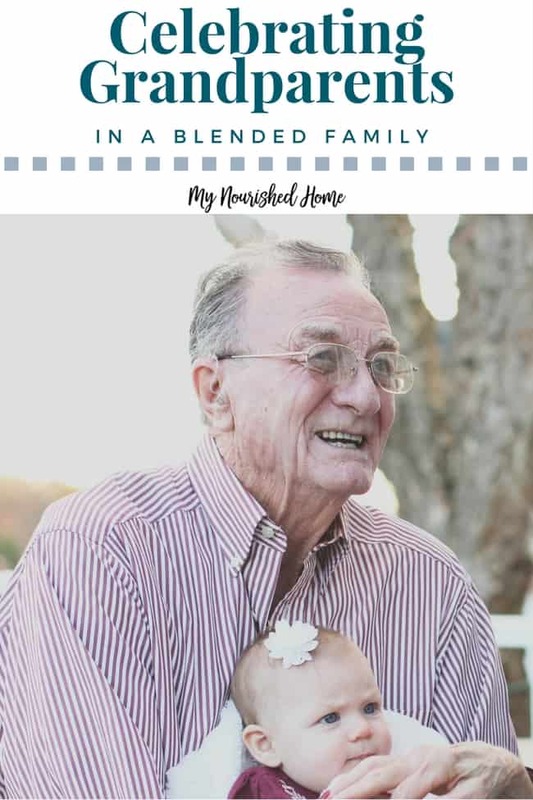 While each family is different, here are a few of the ways that we make grandparents in our blended family feel special. When it’s a grandmother or grandfather’s birthday, we make a big fuss. The kids are lucky to have so many people in their lives who love them and when we can celebrate those people, we’re all for it. Singing a rousing, albeit slightly off-key, rendition of “Happy Birthday” is a must, as is a child-made and signed birthday card. If we’re close to the grandparents on their birthdays and can visit, we try to do that as well. If we can’t make it in person, FaceTime or Skype are good alternatives. The point is that we remember their birthdays and celebrate their presence in our children’s lives. Now, depending on the relationship between sets of grandparents, this can be tricky. We’re really big on no drama and expect everyone to act appropriately, but that’s not always the case in some families. So, instead of inviting everyone to everything, you might want to create a rotating schedule of invitations and let the grandparents know that that’s what you’re doing. In some cases, it might even be motivation for them to all get along! Grandparents love to be involved, so make sure they know that you appreciate their presence at the children’s birthdays, concerts, and recitals. If everyone gets along, invite them all and be sure to thank them all for being there. A little appreciation and recognition of their love for their grandchildren goes a very long way. It can certainly be challenging to navigate four sets of grandparents, but for Grandparents’ Day in September, it’s a must. Make a fuss, celebrate them, and make sure your children know how very valuable they are to the family. Each set of grandparents brings something wonderfully unique to the family, so be sure that your cards or gifts are also unique to them. While one set of grandparents may love to go out to breakfast, another set might prefer a backyard barbecue. Logistically, it can be tough, but when the four sets of grandparents see that you’re trying to include them all and celebrate their presence, they’re much more likely to be supportive and enthusiastic about being included in your new family’s life. 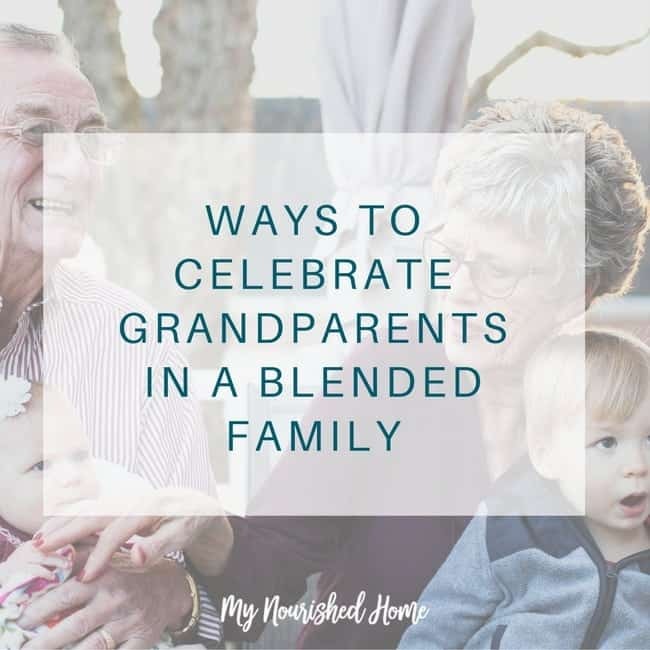 At the heart of it, grandparents love the children in your blended family more than you know and more than the differences they may have with you. Honoring their presence and including them in school and birthday events can mean the world to them. It’s not always about over-the-top celebrations because the smaller, birthday-song-singing moments and handmade cards are what truly mean the most.